Sushant Singh Rajput was looking forward to playing an astronaut in one of India’s first space films ever. And not to forget the enthusiasm with which he trained in NASA to get into the skin of his character! But all of it will not be a part of Chanda Mama Door Ke anymore. The actor has walked out of the project. However, the director of the film has no issues with Sushant and wished him all the luck. Director Sanjay Puran Singh is neither upset nor angry with Sushant Singh Rajput and if anything, he only has words of praises for the actor. Speaking of this amicable separation of Sushant from Chanda Mama Door Ke, Sanjay maintained that there was constant juggling of dates. While the film was announced a couple of years ago, it never went on floor. Considering the immensity of the project, the makers were taking their own time to create it. On the other hand, Sushant Singh Rajput has a busy schedule and other commitments to take care of. While the project was hindering his other work commitments, Sushant, we hear was forced to take this decision of quitting Chanda Mama Door Ke. In fact, Sanjay supported Sushant’s efforts adding that Rajput had given his sweat and soul to the film until he was there. Readers may recollect that Sushant Singh Rajput had even started training in NASA in his 11 layer spacesuit, specially designed for the film. Sanjay Puran Singh continued to appreciate the knowledge that Sushant has in the field of space and quantum physics. When the film was announced, the actor himself had confessed that he always wanted to learn astrophysics. So it didn’t come as a surprise that the actor continued to learn more about the subject. 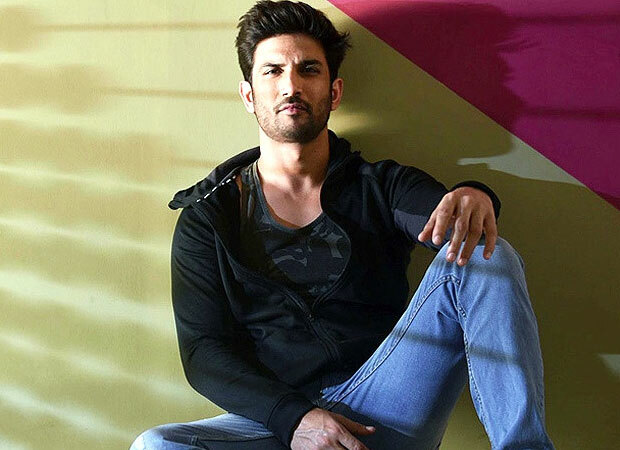 In fact, Sushant Singh Rajput himself is expected to direct a space venture that will be produced by Innsaei Ventures with whom the actor has partnered for his technology business. Maria’s No Dummy – She Knew Arnold Was A Cheater Before She Married Him! Did Zayn Malik Take It All Off Again?